We know that cats can develop illnesses just as frequently as dogs, and that cats require and deserve the same amount of medical care as their canine counterparts. Cats are masterful at hiding signs of illness (see my previous blog post on this topic) which makes regular examinations even more imperative. 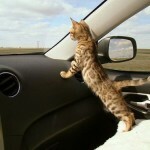 Yet, veterinary care for felines often falls to the wayside, for many of the reasons cited above. 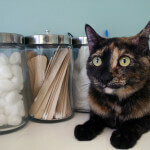 Let’s tackle these concerns one by one, so our feline friends don’t fall through the cracks of veterinary care. 1.) 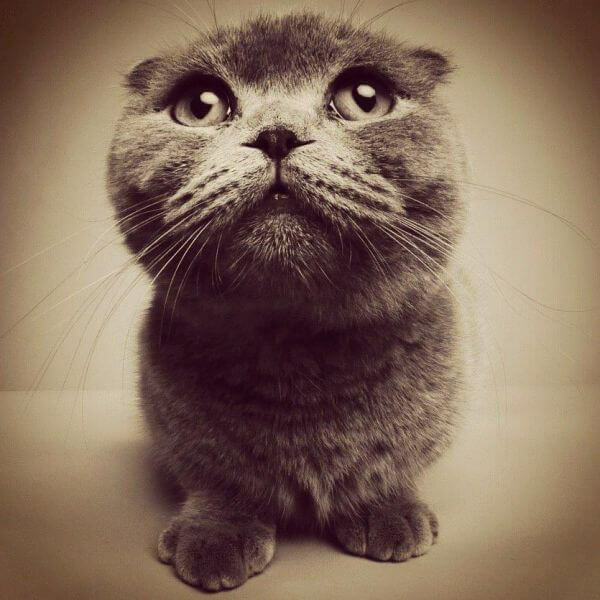 Scheduling routine examinations (yearly for cats under ten years of age, and twice yearly for senior cats ten years of age and older) is the single best thing you can do to keep your cat healthy. Simply nothing else beats a thorough physical exam, weight check and conversation with your veterinarian about Fluffy’s eating, drinking and litter box habits. 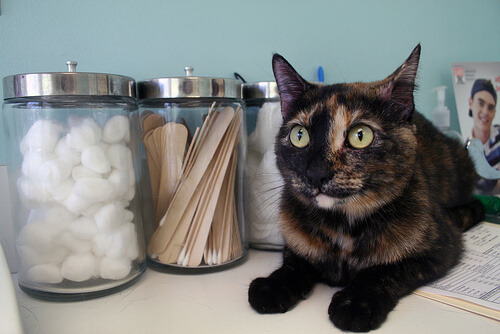 Veterinarians have failed pet owners, and pets, in conveying the value of a physical exam. Vaccines are important in preventing disease, but physical exams are even more important in preventing, diagnosing and treating illness. Take Fluffy’s carrier out a week before she’s about to come to the vet, to allow her to acclimate to it. 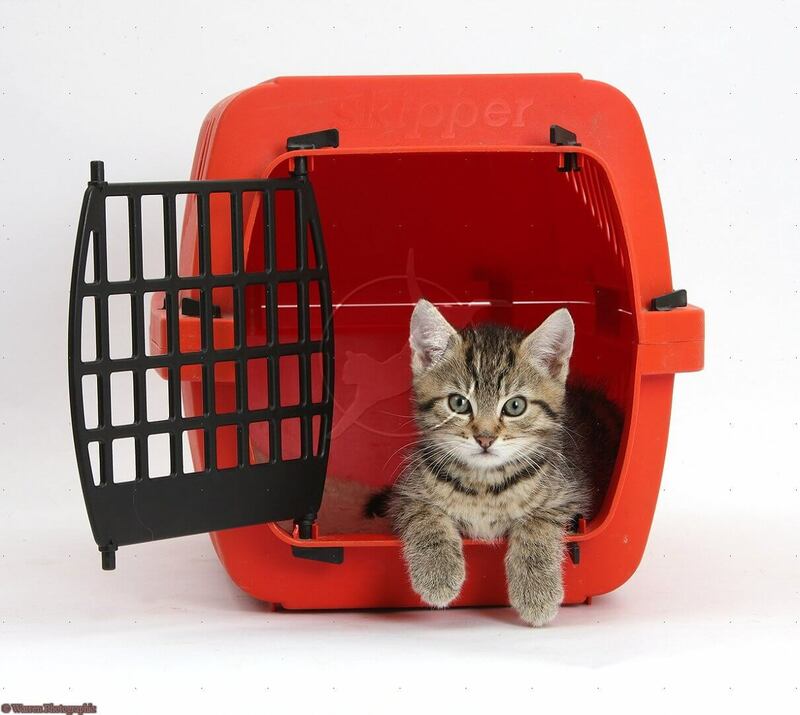 After a day or two, put treats, toys and/or catnip in the carrier to encourage Fluffy to enter the crate (do not close her in there or force her into the carrier.) Reward Fluffy with a treat any time she enters the carrier of her own volition. You may even feed Fluffy in the carrier, if she’s the food motivated type. 24 hours prior to departure, apply a NutureCalm collar to Fluffy. This is an anxiety-reducing pheromone collar that comes highly recommended from several feline medicine experts. The collar, when not in use, can be kept in a Ziploc bag in the freezer, keeping it fresh and potent for the next use. 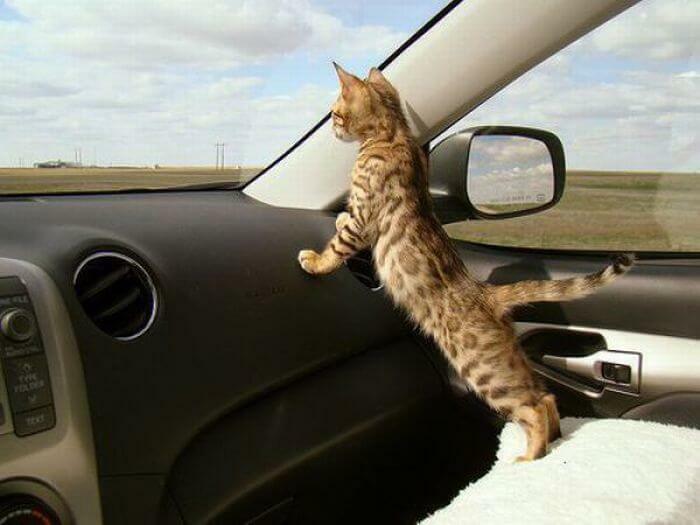 30 minutes prior to departure, wipe the interior of Fluffy’s carrier with a Feliway wipe. Feliway, widely used in the veterinary industry, is a synthetic feline facial pheromone which has been proven to exert a calming effect. 3.) Many, many cats are stressed out at the veterinary hospital, for all the reasons described above. Feline fear and anxiety typically manifest as aggression toward the veterinary staff, and in some cases, aggression toward owners. Many of the tactics recommended above will help diminish Fluffy’s fear of the vet, so I urge you to try them before your next visit. Plenty of owners have told me that they are embarrassed when Fluffy acts up; this may deter well-meaning clients from bringing Fluffy to the vet again. I try my best to counsel owners that embarrassment over Fluffy’s poor behavior is unnecessary! We are trained professionals who see animals of every shape, size and demeanor. For better or for worse, we are accustomed to handling aggressive cats and dogs and are capable of doing so safely. We know that Fluffy doesn’t act this way at home (if she did, she wouldn’t be your pet) and in no way do we think Fluffy’s cranky-ness is a reflection on you as an owner. I promise you that we’d rather see Cranky Fluffy than no Fluffy at all. Regular, comprehensive physical examinations are a simple, cost-effective way to ensure Fluffy lives a long, happy, healthy life. Please don’t let Fluffy’s care fall by the wayside; she needs the same level of medical attention as Fido!